Allow 3-4 weeks build time. Email us for a shipping quote. 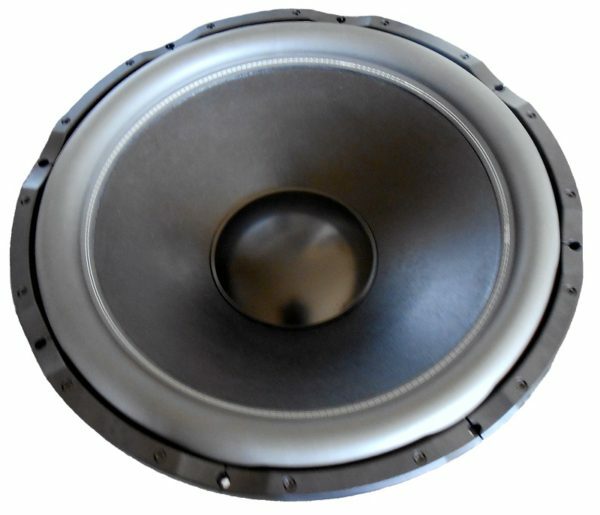 This is it – the pinnacle of bass delivery. Nowhere else will you find a driver of this size and caliber at the price it is being offered here at Mach 5. This was to be a ‘no holds barred’ build and it shows. 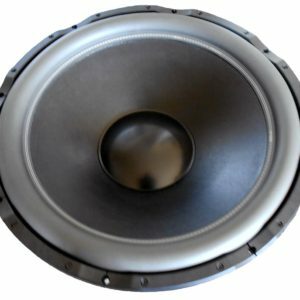 From the 6 inch voice coil to the 34mm of one-way linear excursion, the W0W-32 will impress even the harshest of critics. The W0W-32 throws so much air, we believe only one is needed for the average home theater setup. But let’s not kid ourselves; if you are considering this driver, your ambitions are far from average. Want more linear excursion? That is certainly possible. Since we wind our own voice coils, we can make practically anything you want! The W0W-32 incorporates Mach 5’s PS Series low distortion voice coil. This 6 inch (152mm) diameter coil consists of heavy gauge aluminum magnet wire CNC spun on a special non metallic former. It is then heat bonded using special glues that exceed the temperature limits of the wire itself. The PS Series coil generates no eddy currents in the magnetic gap which helps reduce distortion. The magnet structure of the W0W-32 consists of ten large diameter, H-based Neodymium magnets. Unlike others, we use high temperature magnets to make sure magnetic strength remains constant when the motor heats up. Combined, their pull force exceeds more than 2000 pounds. It is what’s required to move the W0W-32 cone, coil and suspension. 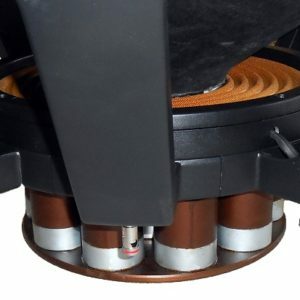 The magnets are positioned in a manner that allows for excellent coiling of the magnet structure and voice coil. 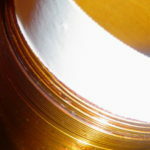 Distortion and inductance is minimized by way of aluminum rings positioned in the proper areas. 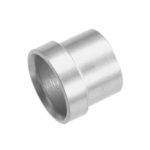 These rings also reduce rearward EMF and allows the W0W-32 to operate as a near perfect resistor through its pass-band and well beyond.